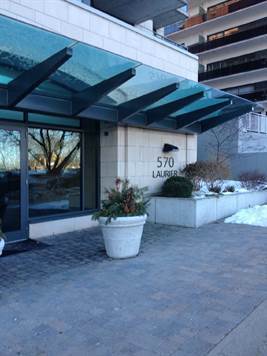 Prestigious partially furnished, 2 story Penthouse commanding spectacular views of the Ottawa River and nearby Gatineau Hills. Open floorplan features efficient kitchen with rich wood cabinetry, sleek black appliances, and a breakfast bar overlooking the living & dining spaces. Enjoy al fesco dining on the private balcony with the panoramic views. Gleaming hardwood floors throughout principle rooms & bedrooms. Convenient 2-piece powder room on main level. Amenities include an indoor pool and gym.